Yes. That's right. It's a 4K tablet running Windows 8. The device measures 20-inches with a resolution of 3840 x 2560-pixel giving it 230 ppi. The first thing you know about 4K is that the resolution makes sense if you will view the content on an 80 to 85-inch display. But that isn’t stopping companies from squeezing the resolution into smaller displays. Under the hood, the 20-inch prototype has an Intel core i5 chip along with micro-USB, micro-SD ports and Wi-Fi. The device lasts for about two hour battery life. 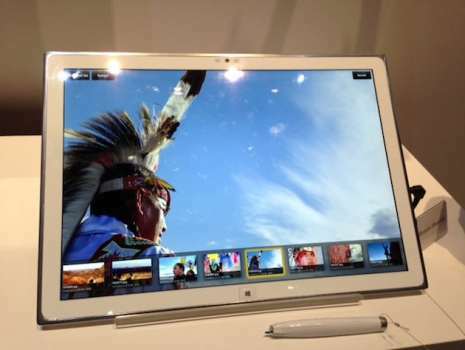 Panasonic has unveiled a 20-inch prototype tablet running Windows 8 with a 4K-display resolution. The 20-inch IPS LED-backlit LCD display has a 230 ppi. Let us put things into perspective shall we. The 15-inch Retina Display MacBook Pro has a 2880x1880 pixel resolution giving it a 220 ppi. The 13-inch Retina Display MacBook Pro has a resolution of 2560x1600 giving it a 227 ppi. 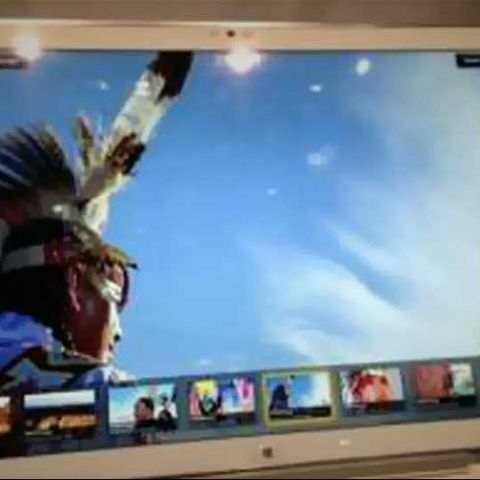 The 4th generation iPad has a 9.7-inch display with a 2048x1536 resolution at 264 ppi. The Samsung Nexus 10 takes the resolution to a whole new level. The 10-inch display has a 2560x1600 resolution giving it 299 ppi. With the specifications and appeal of the 20-inch prototype it seems that it is targeted at marketing professionals, architects, photographers and other such business users. Considering its size, it is clear that the device isn’t designed for portable use. No details are available on when this device will translate from the prototype stage to mainstream and be available to consumers. 4K and OLED TV’s seem to be the highlight of the event. We have seen 4K TV from all the big names that includes Sony, Samsung and LG. you can catch up on all the CES 2013 action here.